Fire Between Wise River and the Lodge is OUT! Cyrena and Jodi, from our kitchen staff, couldn't get to work yesterday because of a grass and sagebrush fire raging in the 8 mile stretch between the town of Wise River and Big Hole Lodge. 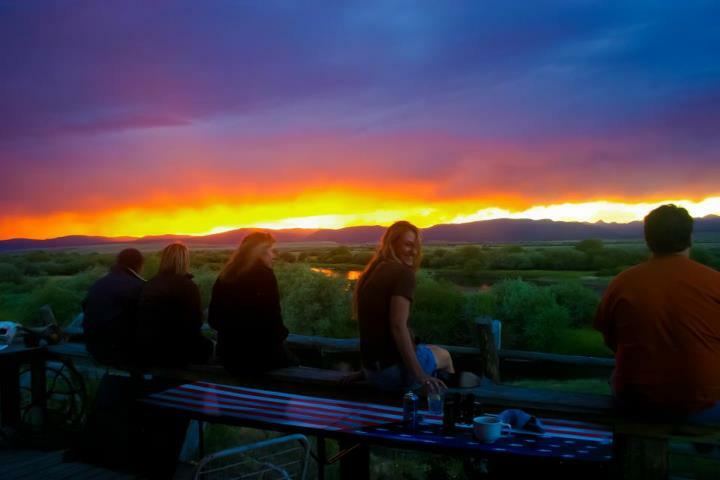 The fire knocked out power to the valley above and forced Lanette to rally a crew of friends, guides and clients to pull off dinner in the dark. The road eventually opened and the power was restored by about 9 pm last night. A big Thank You from Big Hole Lodge to all members of the forest service fire crew, the various volunteer fire departments, and the locals who contained this fire before it reached the tinderbox forest! 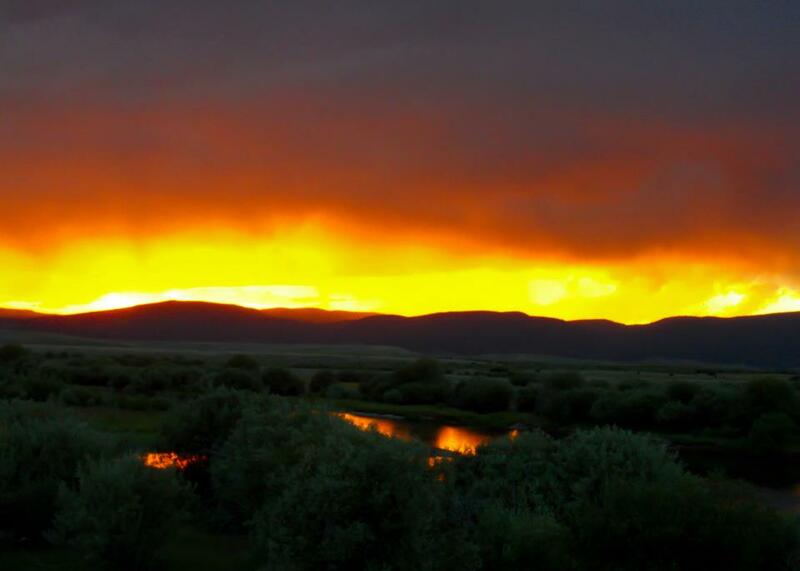 A fire that broke out in sagebrush and grassland early Tuesday afternoon south of Wise River threatened homes before fire-fighters brought it under control, a U.S. Forest Service spokeswoman said. 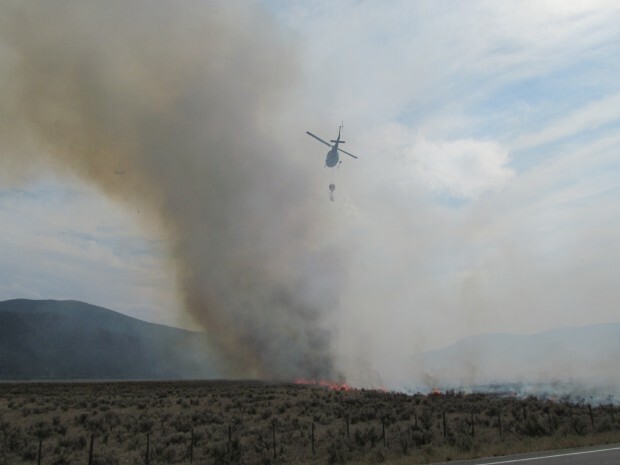 Firefighters from federal and state agencies and local volunteers rushed to the Byway Fire burning about a mile and a half south of Wise River just before 1 p.m. Tuesday, said Leona Rodreick, information officer for the Beaverhead-Deerlodge National Forest. Rodreick said the fire, fueled by gusty winds, had burned roughly 300 acres east of the Pioneer Mountains Scenic Byway by late afternoon and was a threat to several homes in the area. By Tuesday evening, firefighters had contained the blaze and the helicopters called in for the effort were grounded. The cause of the fire is unknown, but firefighters responded quickly in an effort to get control of the blaze. Rodreick said early in the afternoon they had a helicopter, three water tenders and nearly a dozen engines working the fire. The blaze burned close to one home, said Charlie Miller, a homeowner in the area. He said his home was not seriously at risk, but a neighbor had flames burn the tires on his horse trailer before firefighters were able to protect a home, garage and barn. Miller drove through the area, and said the fire was burning just east of the highway, about a mile and a half south of Wise River near the town airport. 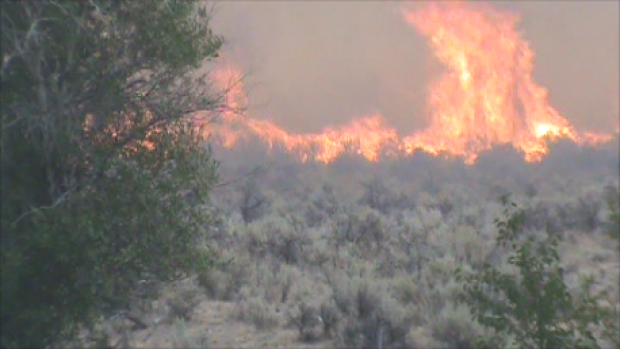 The burn was quickly moving north, fueled by strong winds from the south. “When I went through I had fire right up to my truck,” Miller said. Rodreick said the winds were blowing at between 17 and 24 mph in the early afternoon. Click the above image for another edition of the OrvisNews.com Friday Film Festival, in which they scour the Web for the best fly-fishing footage available. This week's collection builds on the theme established in Toby Swank's essay: the joys of being in the backcountry. They've even got a couple of videos with very little fishing in them, but their portrayal of the landscapes we anglers love are well worth your time. For the salty crowd, we've got a video from The Maldives that will have you dreaming of the Indian Ocean, and you'll discover the new sport of Irish Cliff Angling. They finish up with a trio of Icelandic adventures that offer great scenes from this magical land. 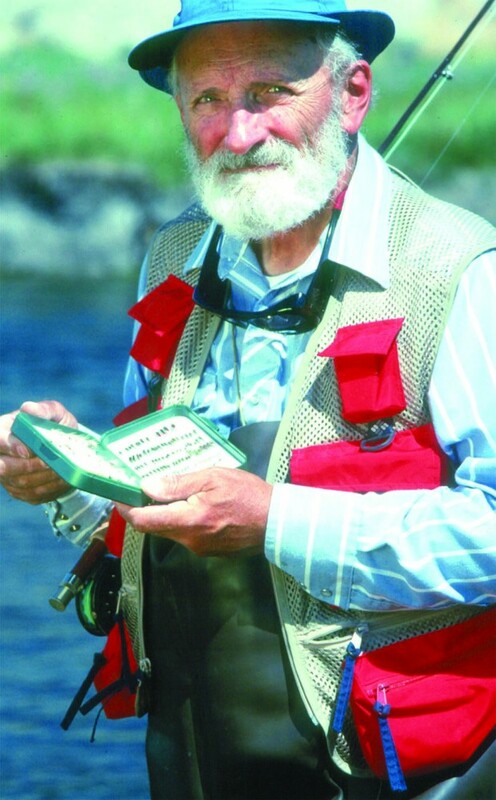 Al Troth, creator of the Elk Hair Caddis, and fly-fishing legend passed away at the age of 82. BUTTE — There’s a point when a man can turn a simple hobby into an intricate form of art. By being meticulous, innovative and creative, the late Al Troth took every aspect of fly fishing to a rarified stratum. To Tim Tollett, Troth was more than just a fishing buddy. He was a teacher and a mentor. “He taught me all the nuts and bolts, all the tricks. 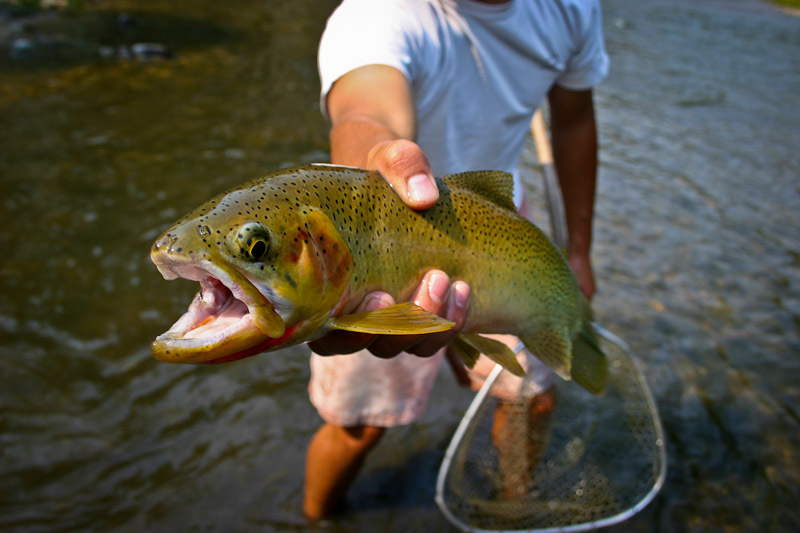 He could just raise hell with those trout,” Tollett said. 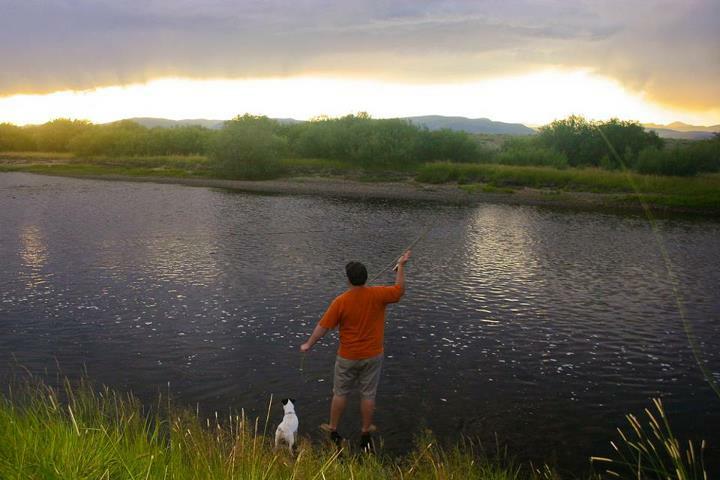 Alfred Carl Troth, of Dillon, left the world and his beloved fishing holes on Aug. 3. He was 82. 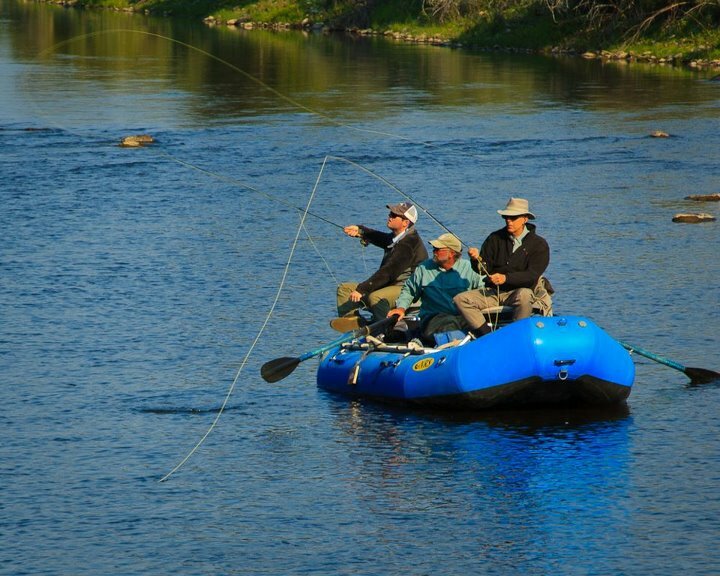 But those who knew him — either personally or by reputation — say his influence on the sport of fly fishing should last as long as the snow-packed mountains feed the trout-laden rivers and streams. Check any fly fisherman’s fly box and it’s likely you will find a bit of Troth’s legacy. In 1957, Troth designed one of the most definitive dry-fly patterns of all time — the elk hair caddis. Chris Bradley, who is co-owner of The Stonefly Fly Shop in Butte, says the elk hair caddis remains one of the most popular fly patterns since it was first designed more than 50 years ago. “It’s such a versatile pattern. 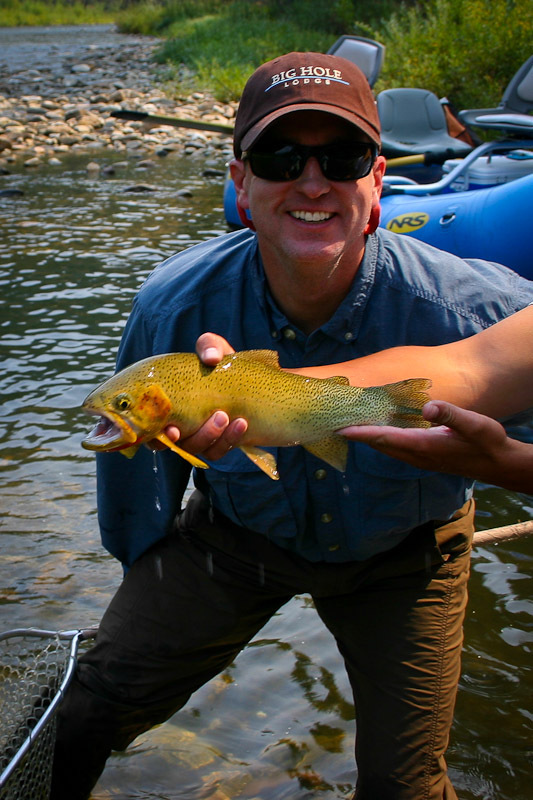 It’s tried and true and a must-have in your fly box,” Bradley said. Its genius comes in its simplicity: A little dubbing for the body, some hackle to give it bulk and elk hair for the wings. “He designed it as an emerger (a fly that floats just beneath the surface of the water),” Tollett remembers Troth telling him. But elk hair is hollow and it floats well on top of the water. It has since proven to be one of the most effective dry flies ever developed. 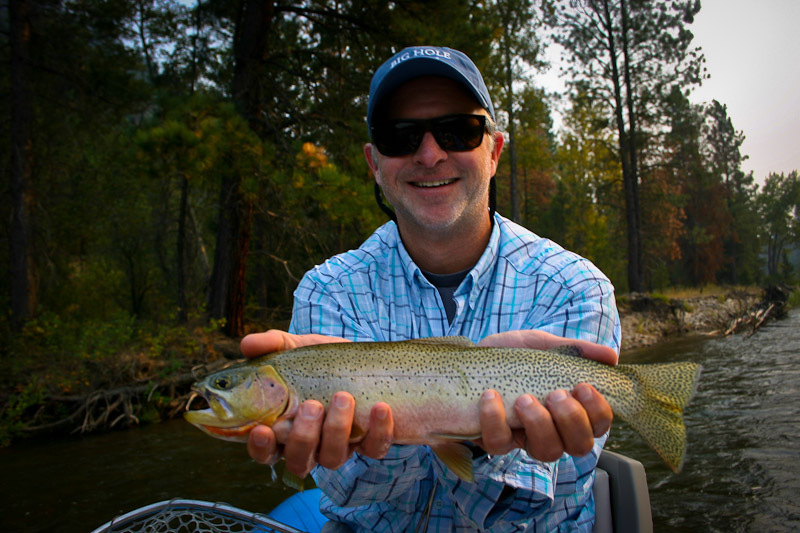 Troth started selling his caddis at Bud Lilly’s Fly Shop in West Yellowstone. Lilly said that Troth’s caddis was an instant success. While there were other caddis patterns on the market at the time, Troth’s was much more effective for Western waters. 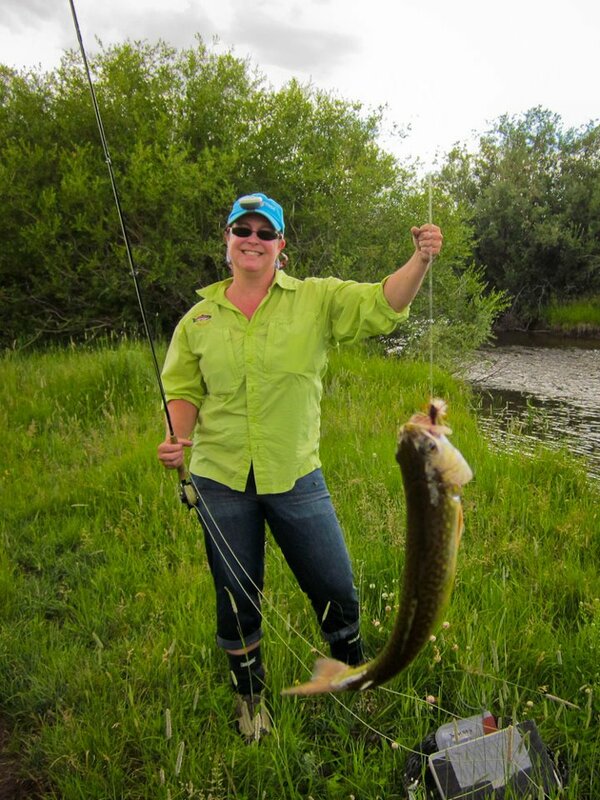 Tollett, who has been operating Frontier Anglers Fly Shop in Dillon since 1980, first met Troth in 1977. He just went to Troth’s house in Dillon and introduced himself. Tollett was 21 and in Dillon to attend college. Instead, he attended the University of Al Troth. 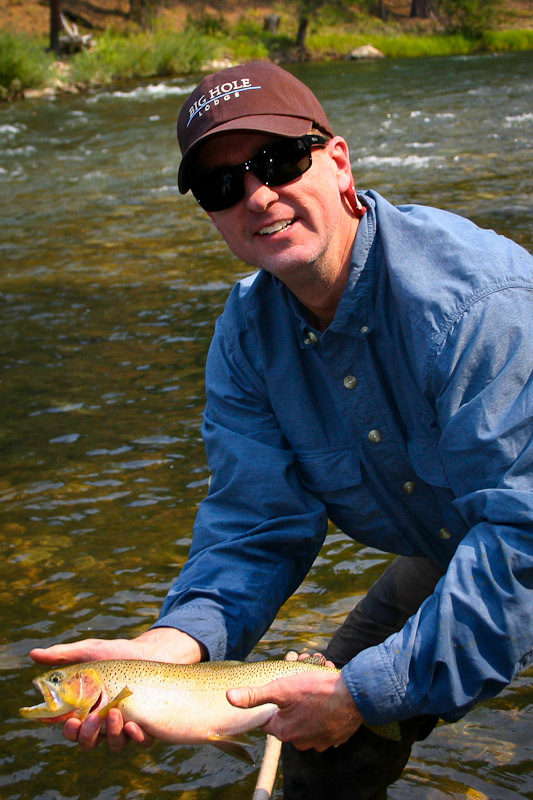 “He was my mentor in fly fishing and taught me everything about the business,” Tollett said. He started guiding for Troth before opening his own business a few years later. He still recalls Troth’s business lesson all these years later: Don’t spend more than you take in. “You can take four years of classes at the college just to learn that,” Tollett said. Troth grew up in Pennsylvania and worked as a metallurgist for Pittsburgh Steel, as an industrial arts teacher and was considered a master craftsman. He also had the reputation as a fantastic outdoors photographer. Tollett marveled at Troth’s innovative approach to getting the job done. “He’d find the simplest way to do something and then do it,” he said. He was a pioneer in photographing trout under the water. “He’d put a camera in a Plexiglas box and take underwater pictures,” Tollett said. The man’s skills as a fisherman were just as creative and sharp as his craftsmanship. 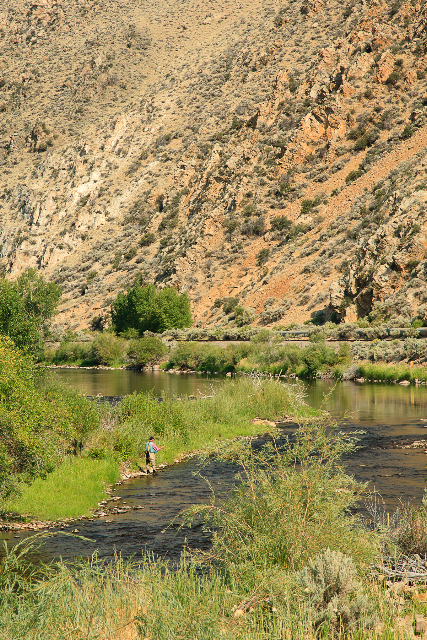 Tollett would often fish with Troth on the Big Hole River, which was one of Troth’s favorite places to fish. The pupil always learned from the master. Troth’s son, Eric, said his father was dedicated to “practical perfection,” and he enjoyed the privilege of watching his father work. “He was acutely attentive to the details of functionality as well as aesthetics. Seeing his ongoing commitment to excellence will be perhaps one of his greatest legacies in my life,” Eric Troth said. Al Troth was known for appreciating the traditions and history of fly fishing. Troth always made a point to give credit to all the past fly tiers and the flies they developed. Tollett hopes future generations will appreciate him and will get the respect of other legendary fisherman like George Grant and Dan Bailey. At least 70 large fires are burning across 13 states west of the Mississippi River, according to the National Interagency Coordination Center. Though the area around the lodge is not currently threatened by any fires, the smoke has been thick in the evenings. Yesterday's wind did blow the smoke out of the area and we have clear skies today, but wind could not have helped the fire fighting efforts. Time for rain dances. 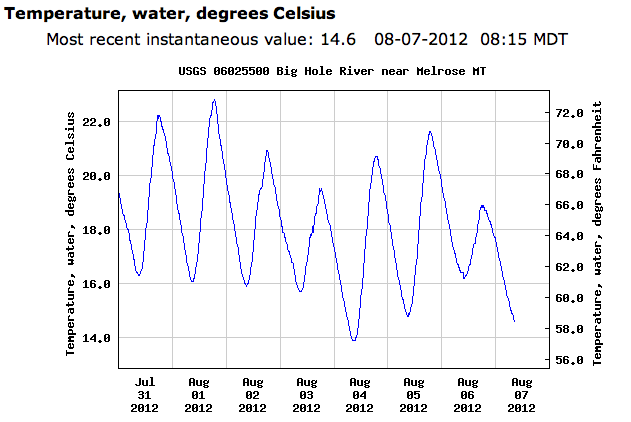 The heat of August arrived over the weekend and the water was getting dangerously warm by late afternoon. We had to get up early to beat the heat and it paid off! Lewis and his son, Frank, are long time friends and clients who know the Big Hole and it's fluctuating conditions well. They are not afraid to do what it takes to get on the water when the fish are feeding. Chuck Page met them early and Frank wasted no time hooking into this beautiful morning brown trout. We had a very cool night last night and right now it looks like a storm is brewing over the lodge. The sky is dark, the air feels damp and the wind is rustling the grass. The forecast for the rest of the week is promising too, with temps in the low 80's and possible afternoon showers. 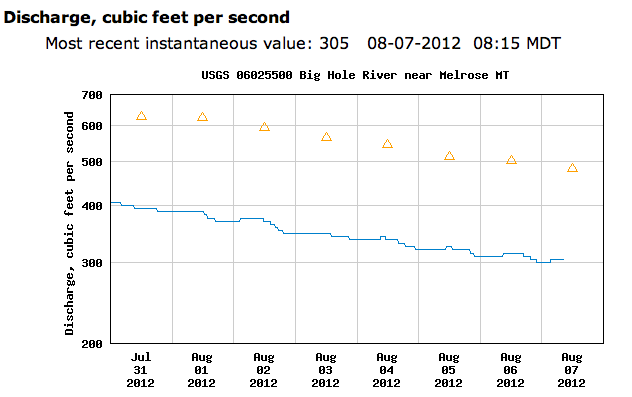 If we get these cool nights and a couple of afternoon showers, the Big Hole will remain in good shape! The water is getting low on the Big Hole, but that creates some really interesting holding water and a wade fisherman's dream! After catching 20+ fish, including several big browns, on a spring creek south of Dillon, Sarah and her guide, Chuck, had a little fun with "creative license" in the taking of this brook trout photo.